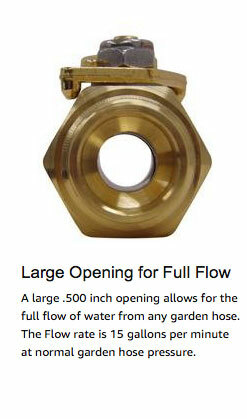 Heavy Duty, Durable, Full Flow. 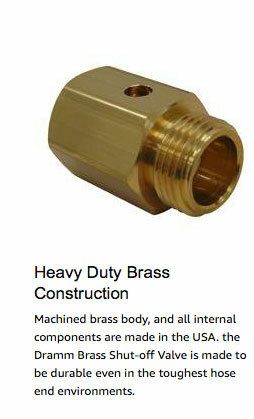 The Dramm 300 Brass Shut Off offers unmatched durability and flow. Built to last, be repairable and offer full flow, the 300 Brass Shut Off is the gold standard for hand watering. Our unique design allows for a tight seal while allowing the ball and handle to move freely. 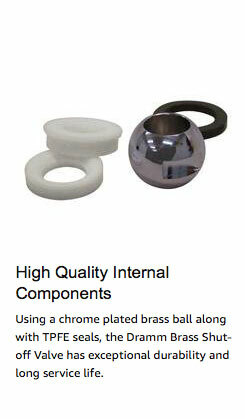 Removing the hose relieves pressure on the ball allowing for easy cleaning and part replacement. Our true ball design has no internal components that restrict flow when fully open. 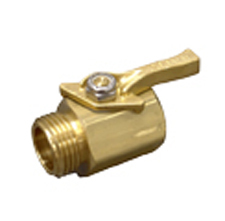 The 300 Brass Shut Off is available from Dramm Distributors throughout the world. Many knock-offs exist. Make sure to ASK FOR DRAMM by name. For more information contact your Dramm Distributor or Dramm directly at the numbers listed at the left. You may also email us with questions.